When working in the fashion and textile industry, many situations exist when we need to use some sort of conversion method. For example, when developing a costing sheet in the United States, we may need to convert fabric weight from kilos to pounds. If we are planning an international shipment leaving from the United States, we may have to convert our carton measurements from inches to centimeters in order to complete a proper packing list. In addition, we may need to convert carton weights from pounds to kilos. The Apparel Industry has many instances that require a method of conversion. In this section of our website, we present a few tips to assist members of our industry. Does it bother you when one factory quotes a price in Grams & another factory quotes the price in Ounces? Now you have an easy way to convert grams to ounces. To go from grams per square meter to ounces per square yard, you need to divide the number of grams/sq. meter that you have by 33.906. This will give you oz/sq. yd. 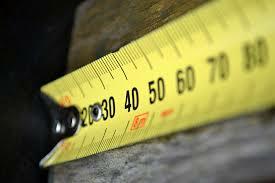 Also, there is a very easy way to convert centimeters into inches. United States customary units are a system of measurements commonly used in the United States. The U.S. customary system developed from English units which were in use in the British Empire before American independence. Consequently most U.S. units are virtually identical to the British imperial units. However, the British system was overhauled in 1824, changing the definitions of some units used there, so several differences exist between the two systems. Fixr: The Metrics International System of Units: The International System of Units (SI) is a modernized version of the metric system established by international agreement. The metric system of measurement was developed during the French Revolution and was first promoted in the U.S. by Thomas Jefferson. Its use was legalized in the U.S. in 1866. In 1902, proposed congressional legislation requiring the U.S. Government to use the metric system exclusively was defeated by a single vote. Learn more at Fixr. This tool is a ready reference of tables of units provided by the National Institute of Standards & Technology.